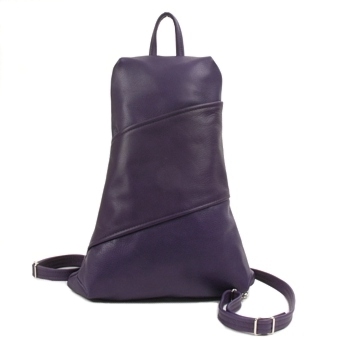 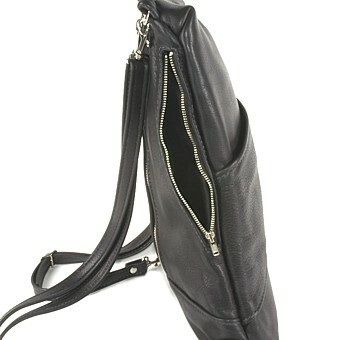 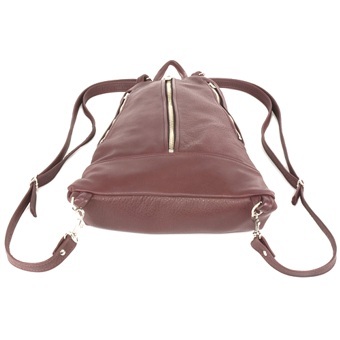 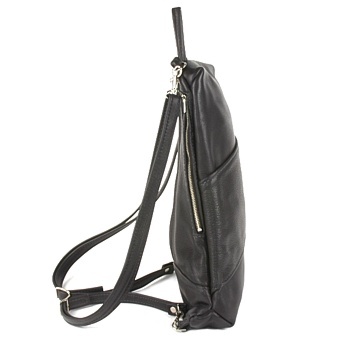 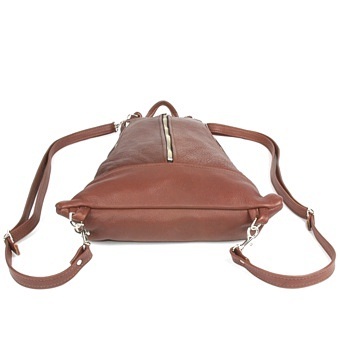 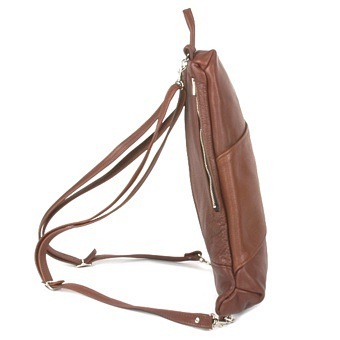 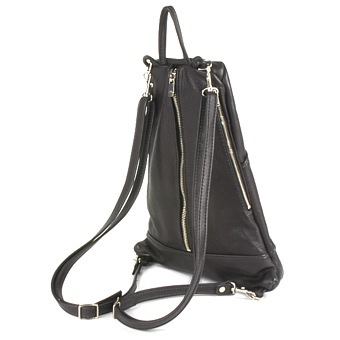 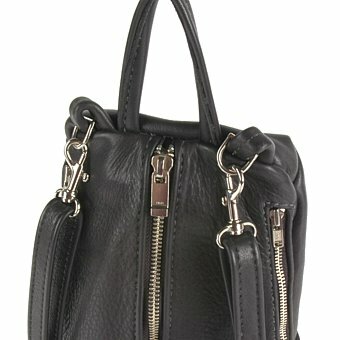 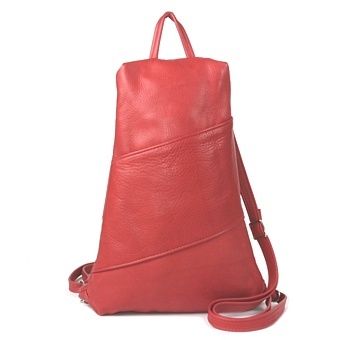 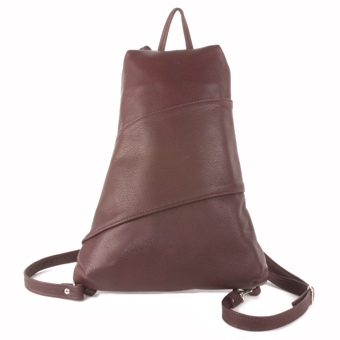 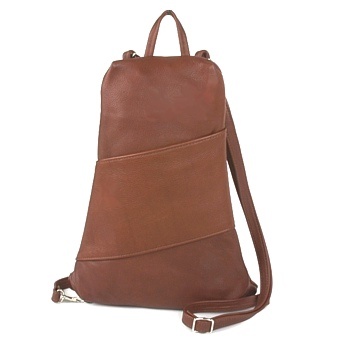 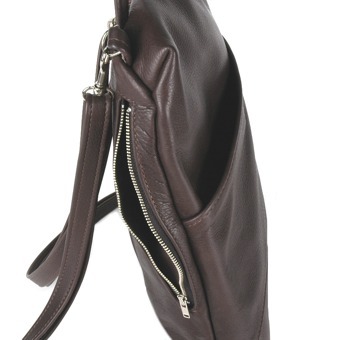 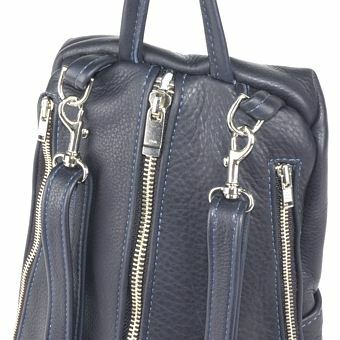 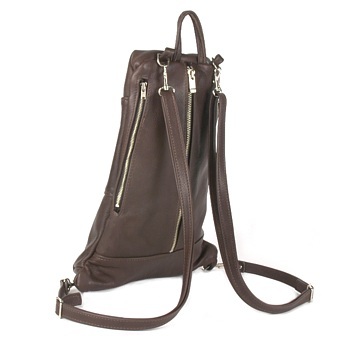 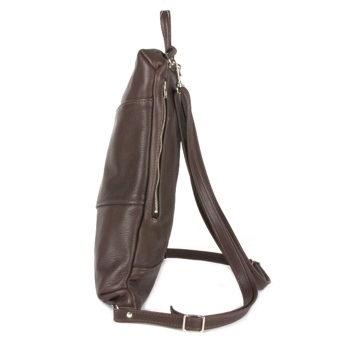 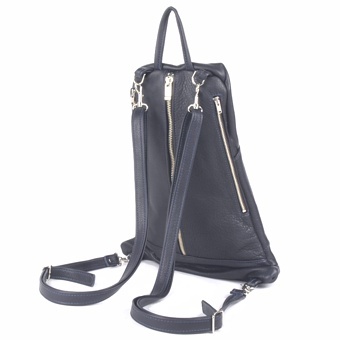 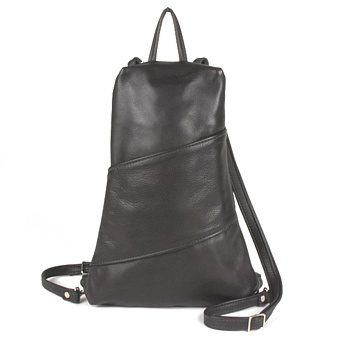 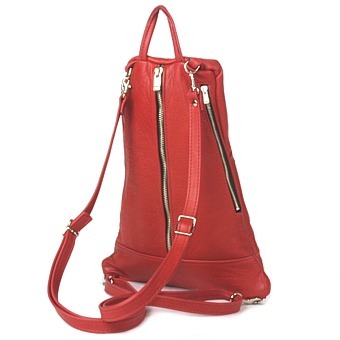 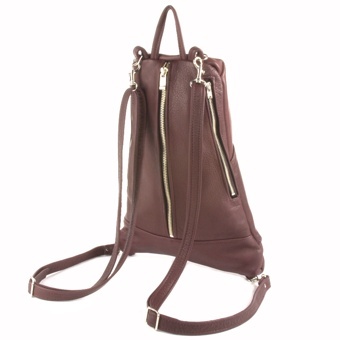 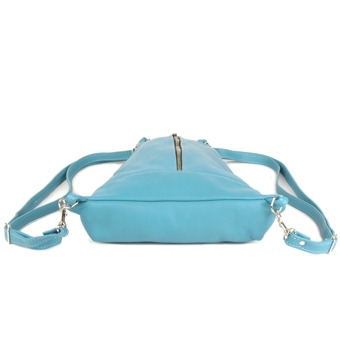 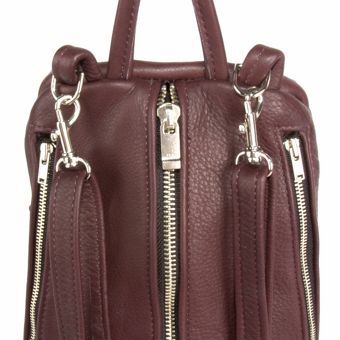 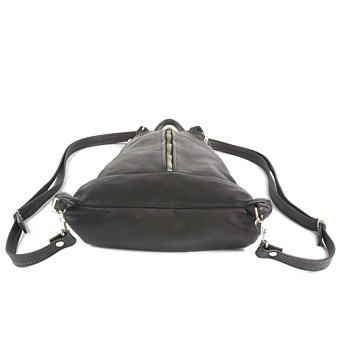 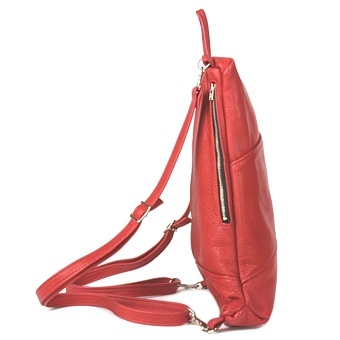 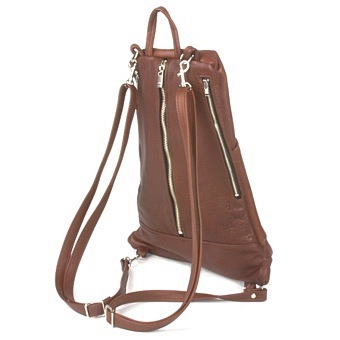 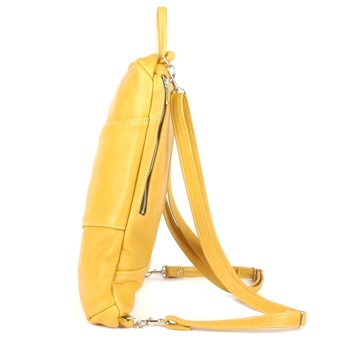 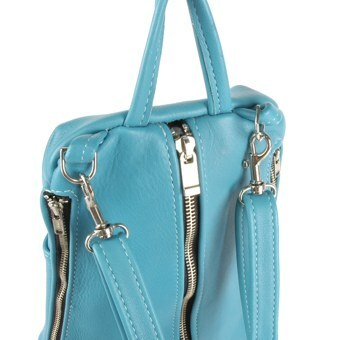 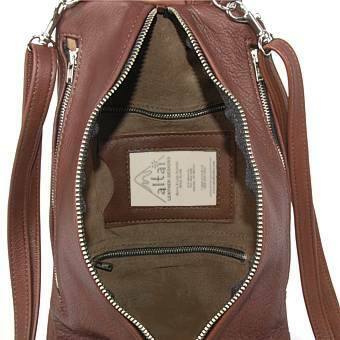 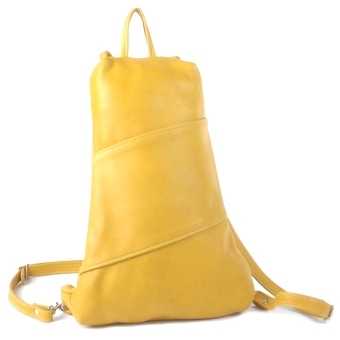 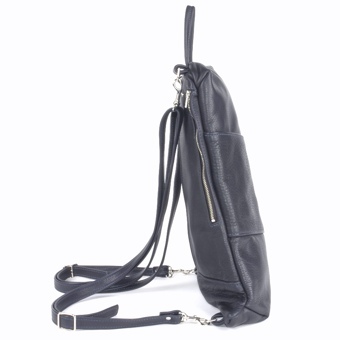 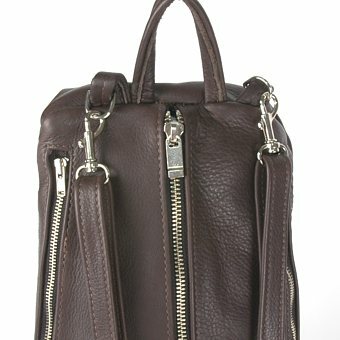 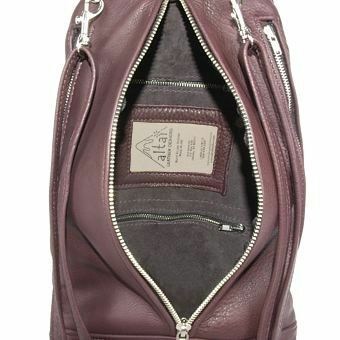 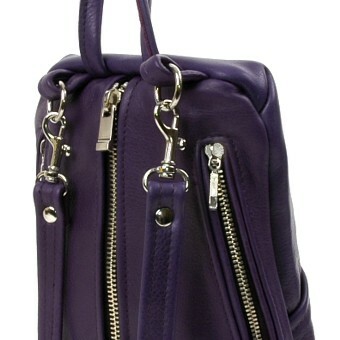 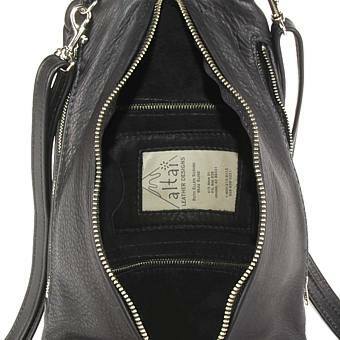 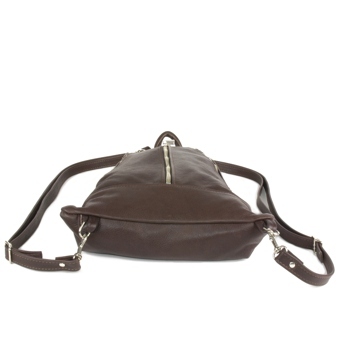 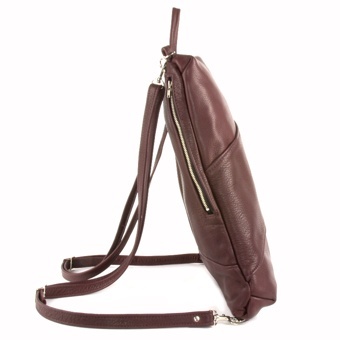 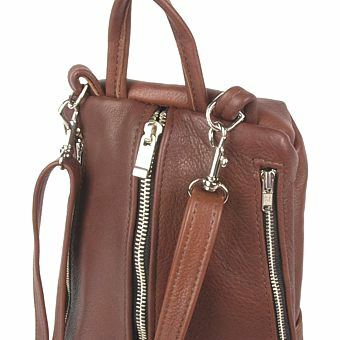 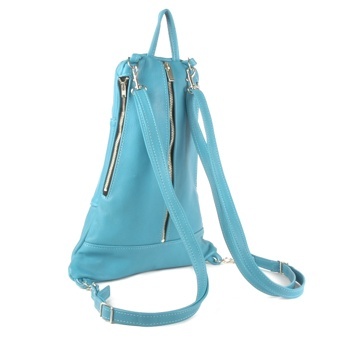 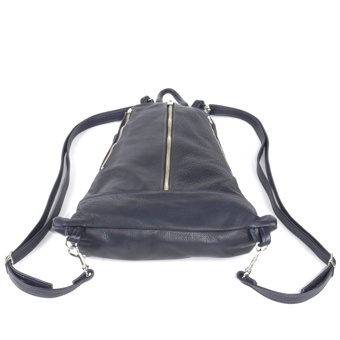 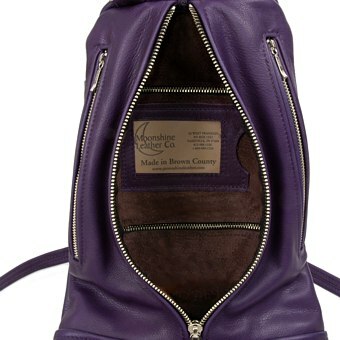 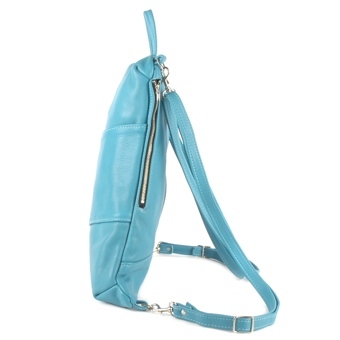 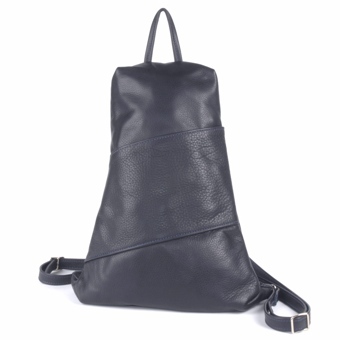 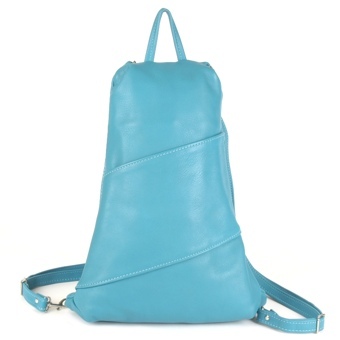 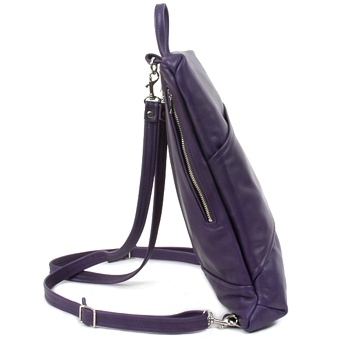 The Rio is a backpack style handbag. 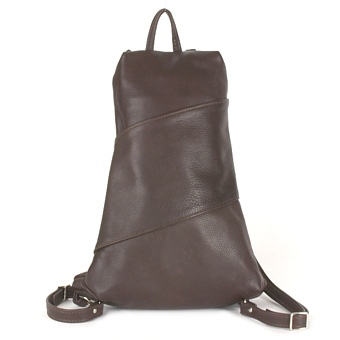 The fully adjustable and detachable straps allow it to be carried on your back, over the shoulder or across the body. 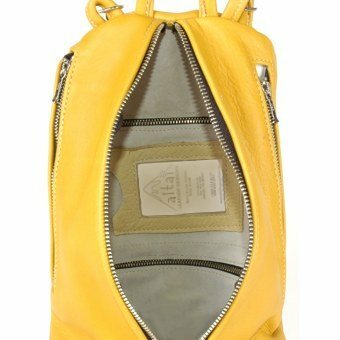 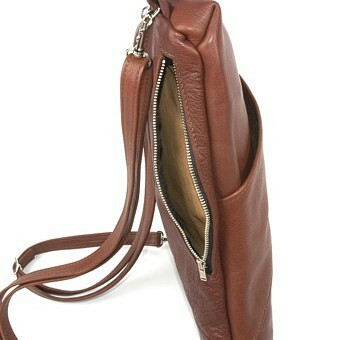 Although not designed for large books it has room for a pocket organizer, wallet, and other items normally carried in a handbag. 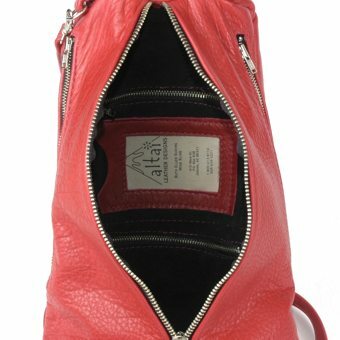 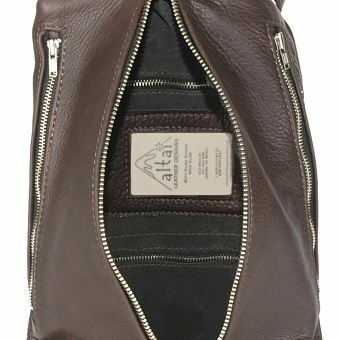 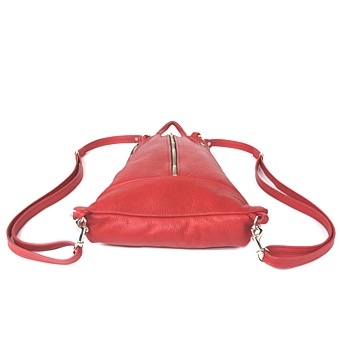 The Rio is made of fine grained high quality leather with an all leather lining. 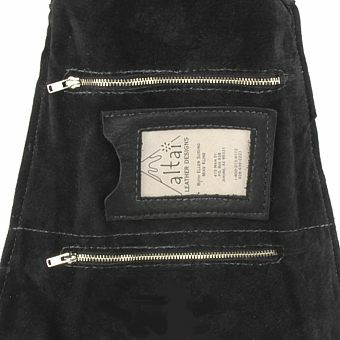 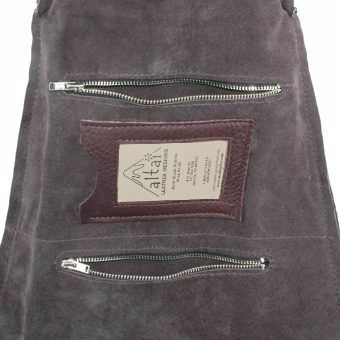 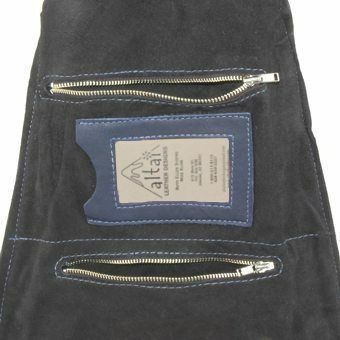 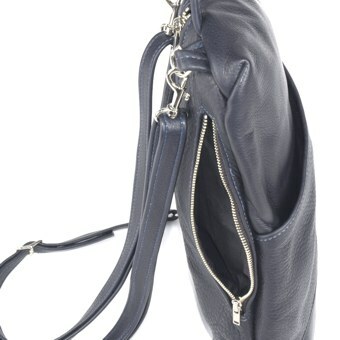 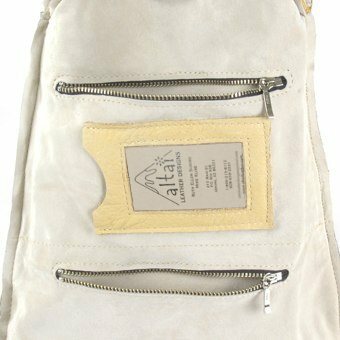 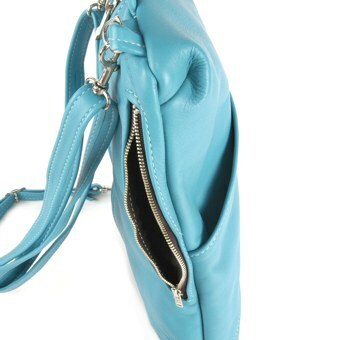 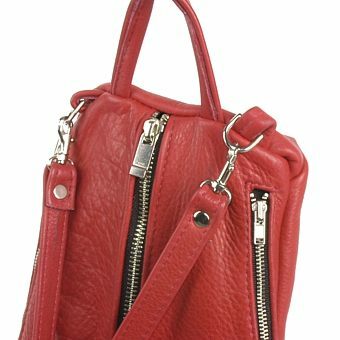 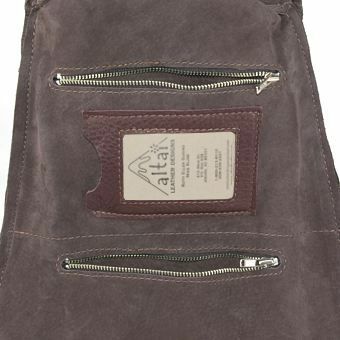 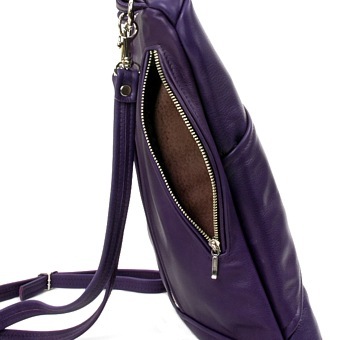 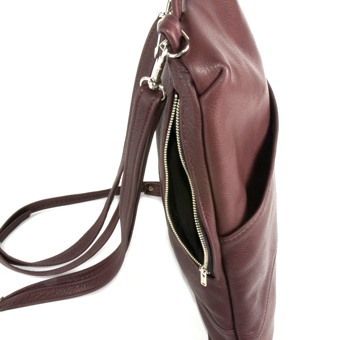 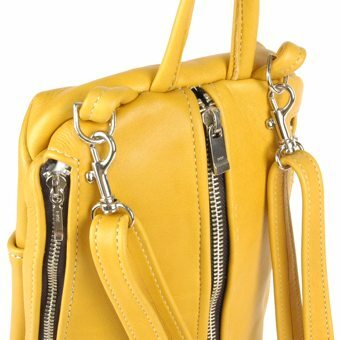 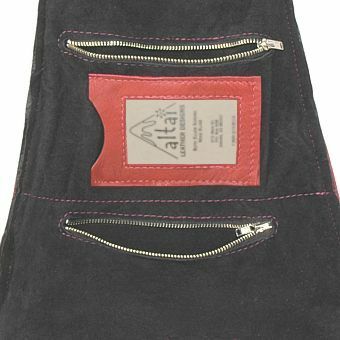 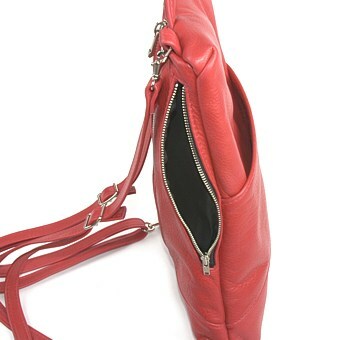 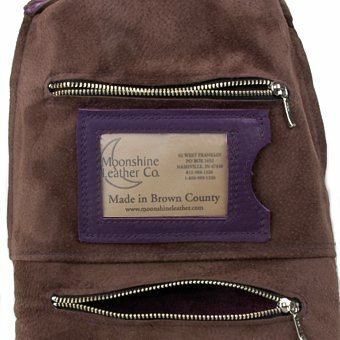 It has a coat hook strap, front slide-in pocket, a large roomy center accessed by a vertical zipper with two outside narrow zippered pockets on each side that are ideal for pens, pencils, and other thin items. 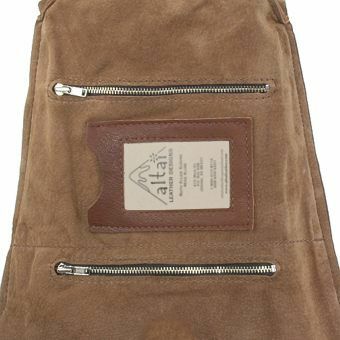 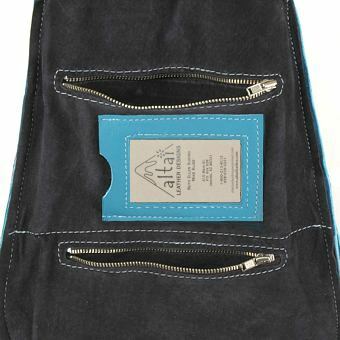 Inside, features two five inch wide zippered pockets and an ID holder.